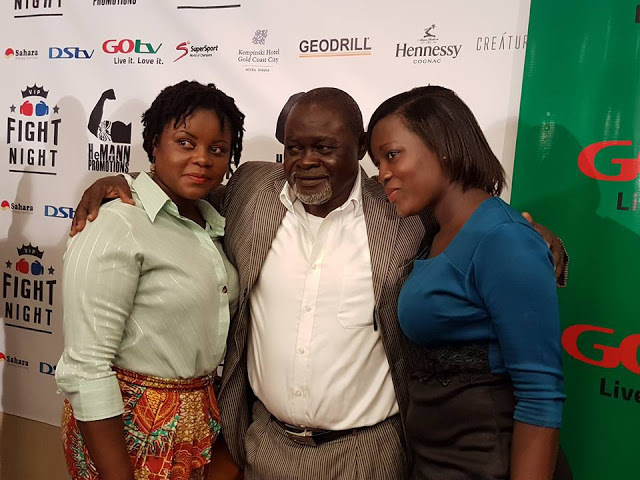 Ghanaian boxing legend, Azumah Nelson is not giving up on the dream of finding the perfect replacement for himself in the ring and is sure next weekend’s VIP Fight Night can be the beginning of finding that legend in the making. Nelson, the much revered former 3-time world champion and WBC Hall of Fame inductee is selecting the boxers who will fight on the show scheduled for the ballroom of the plush Kempinski Gold Coast City Hotel in Accra on June 11 put together by HeMann Promotions in association with Azumah Nelson Boxing sanctioned by the Ghana Boxing Authority. The show which will feature a total of five professional bouts to be preceded by exhibition by amateur and juvenile boxers, is under the theme, ‘Bringing Ghanaian Boxing Back to its Glory Days.’ To be screened live across 53 African countries on Supersport on DSTV, will be a full evening of celebration in a regalia atmosphere with dress code of ‘Black Tie Formal’ hosted by former TV3 morning show host, Bennie Blanco and renowned Ghanaian actor, Chris Attoh. Guests will be welcomed with a red-carpet entrance and fine dine on a 3 course meal but the main focus is still on showcasing the best of Ghanaian boxing spearheaded by the legendary Azumah Nelson himself. “To be champion among champions takes a certain mindset a of the individual. Ghana is blessed with the talent. It’s just a matter of coaching which will make Ghana produce another world champion,” Azumah said at the launch of VIP Fight Night. “I want somebody to step up to the plate and say: I am determined to become a world champion. We will try to talk to the coaches, promoters and the boxers themselves on how to go about certain things to make them the best boxers they want to become,” the former world champion added. Accordingly, the VIP Fight Night 2016 will follow up with more events throughout the year with Hemman Promotions in discussions with boxing promotions and managers worldwide to secure fighters for future events. “Our aims are to return boxing to the limelight of Ghanaian sports by providing a prestigious platform for boxers to showcase their talent and move onto bigger platforms internationally,” explained Hemann Promotions CEO, Heta Hemann. “All boxers have been personally selected by ‘The Professor’ Azumah Nelson who promises only the ‘crème de la crème’ of fighters for his audience. In preparation for VIP Fight Night, ‘The Professor’ has been visiting these fighters, monitoring the progress of each one at their respective gyms and advising them about the grueling physical and mental challenge that lies ahead,” Mr. Hemann explained.